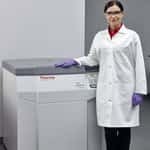 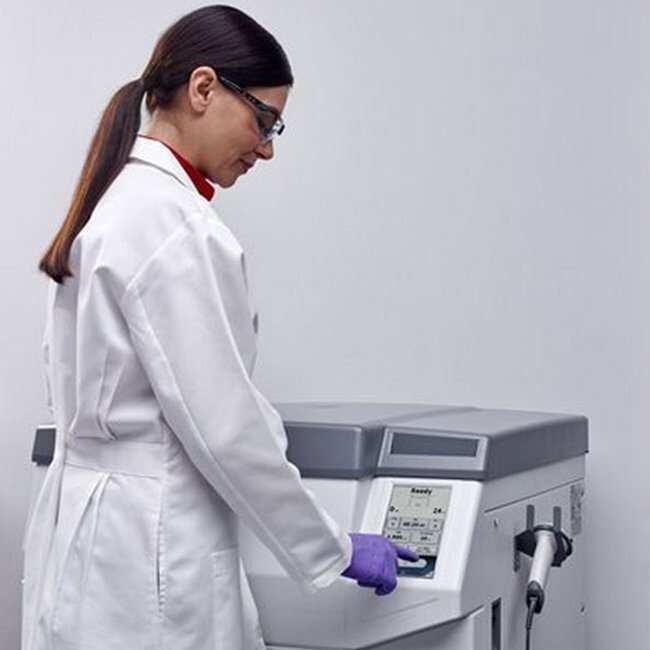 The Thermo Scientific Sorvall BIOS 16 centrifuge is designed for high quality harvesting, separation and purification bioprocessing methods that require run to run reproducibility and traceability. 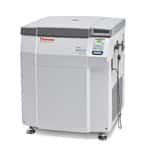 With an enhanced capacity of up to 16 Liters of sample volume, a compact footprint and innovative features to optimize operations, maximizing productivity and efficiency is simplified. 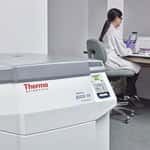 Achieve reproducible results with the Thermo Scientific™ Accumulated Centrifugal Effect (ACE™) function, automatically adjusting run time to account for variations in acceleration. Immediate rotor detection and programming with Thermo Scientific™ Auto-ID instant rotor identification to save time and protect the integrity of your samples. 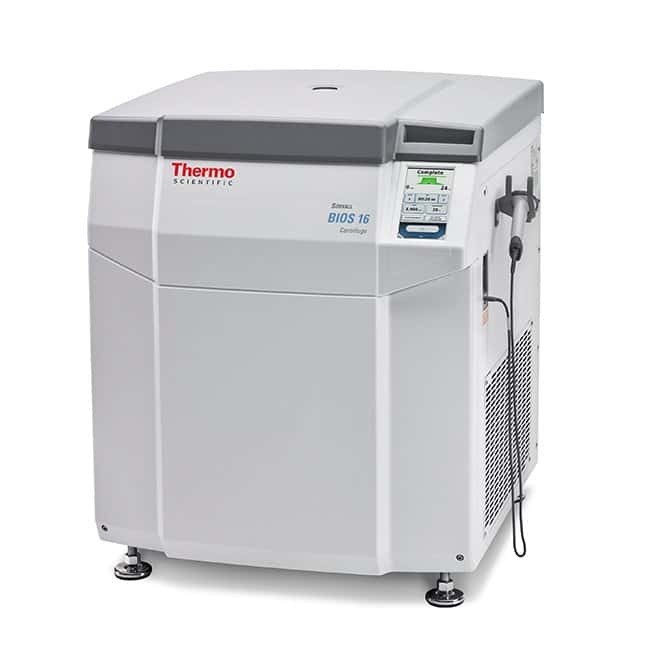 Thermo Scientific™ Centri-Touch™ interface with bright, highly visible and glove-friendly display simplifies run set-up, further enhanced with access controls such as user login with password protection. 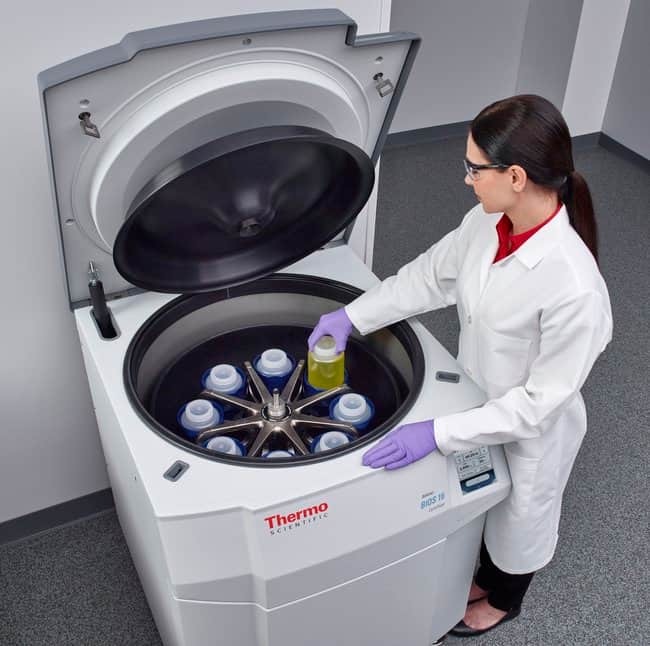 From R&D scale to large scale production, select the centrifuge to support your bioprocessing applications.